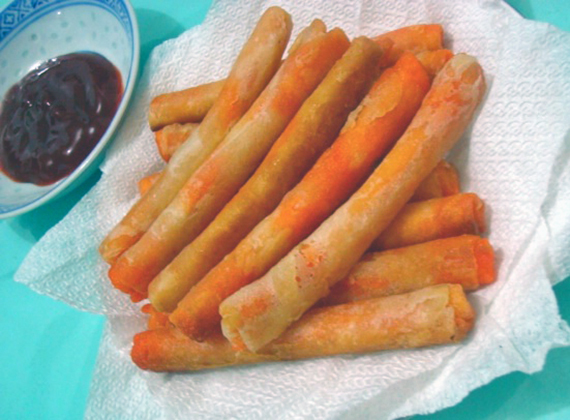 If you are like me, you probably cannot resist fried spring rolls. 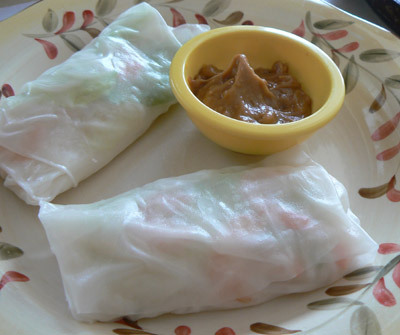 Who doesn’t love a little spring roll with plum sauce? You don’t need to order Chinese takeout to enjoy this crispy delight. 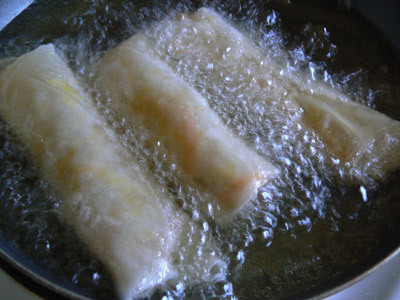 Just follow this fried spring roll recipe and enjoy. 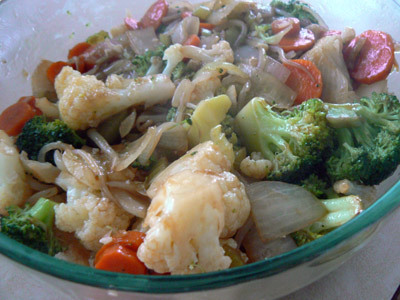 This easy recipe uses very simple ingredients, but you can add meat or shrimp if you prefer. 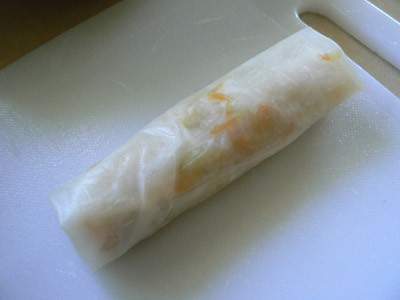 This recipe makes 8 spring rolls. 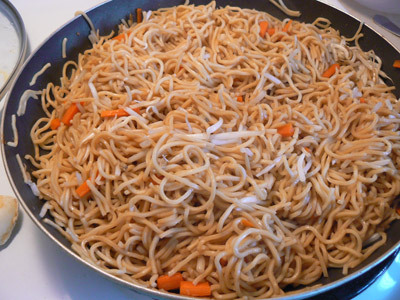 Heat the vegetable oil in a skillet over medium heat. 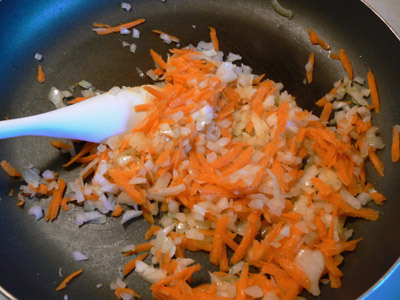 Add the onions and carrots and sauté until tender. 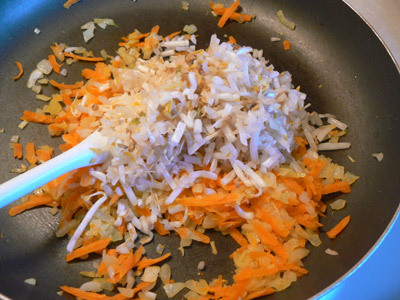 Add the chopped bean sprouts and keep cooking to desired tenderness. 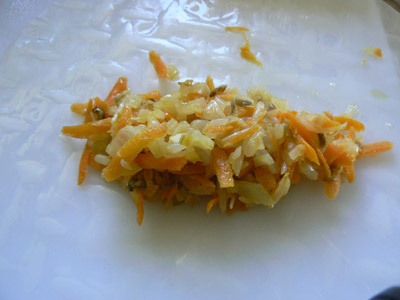 Once the mixture is cooked, remove it from heat and allow it cool slightly. 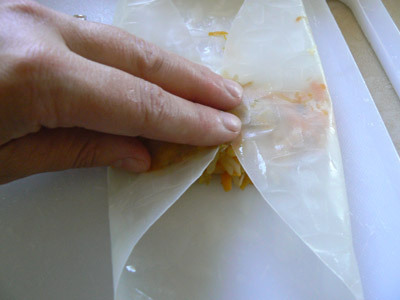 Now, you need to get your rice papers ready by moistening them with water. 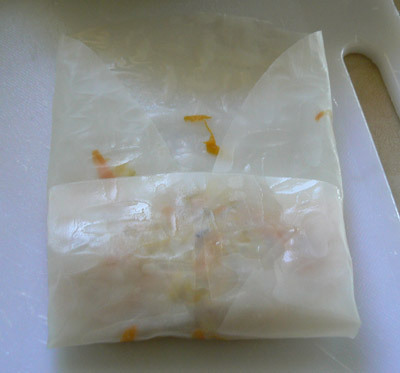 Moisten, fill and fold each paper one by one or you’ll just have a soggy mess. Add about 3 tablespoons of mixture to middle of the paper. Fold in the sides of the paper. 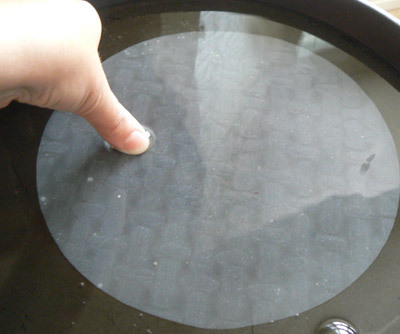 Then fold the bottom up. Finish by rolling the paper all the way. 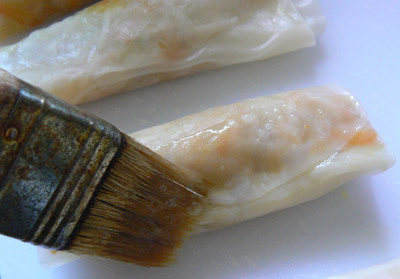 Brush the paper with egg to seal the edges. Allow the egg to dry and in the meantime, heat the vegetable oil in a pan or deep fryer to 375 F. Carefully place the rolls in the oil and fry until they golden brown, about 5-6 minutes. 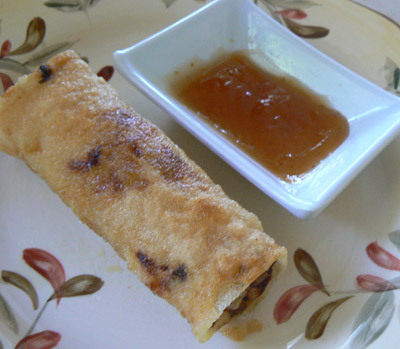 Serve fried spring rolls with plum sauce and enjoy.